Certainly, it is logical to assume that most business firms require accounting software for their financial records. Accounting software holds a very important position with any organization that would like to stay profitable for now and the future. 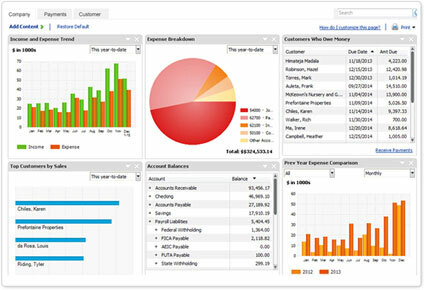 Accounting software is charged with the tasks of recording all the financial transactions within an organization. It is vital for the large corporation to the small business operation to realize that accounting software varies in reliability and their interpretation of the financial data that is presented to the program. Most business firms simply do not have the expertise to judge if the software is best. Therefore, they hire an accounting software consulting specialist to identify problems with their accounting. The role of the accounting software consulting professionals varies according to their clients specific needs. Certainly, an organization that deals with commodities has different requirements than a local charitable organization. However, generally their responsibilities include taking a close look at the accounting software that is used by the firm and deciding if the software is the best. Other responsibilities would include training the staff on effectively using upgraded accounting software to preparing test to examine the integrity of upgraded software programs for the organization. Generally, most corporations and small business owners do not have the necessary talent on board to identify problems with the financial software within the organization. Some are on a tight budget and simply do not have the funds to hire a person on a regular basis to fill that position. However, the good news is that most accounting software consultants work on a freelance basis. Therefore, they are not on a regular salary with their client. Thus, cutting costs dramatically for the organization. The fact is that contracting with a freelance consultant is one of the best moves that any organization could make. In the long run, this move will probably save them thousands of dollars. Accounting software consulting is a very specialize field. The professionals in this highly specialized field are trained individuals that perform a very valuable service for their clients and the entire organization. They identify problems, uncover issues, and provide the best solutions for software problems that interfere with a company’s goals.